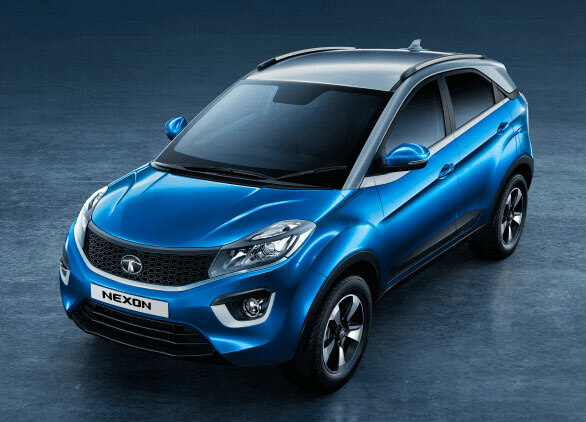 Buy your dream car using the carefully collated information here - Get complete information on Tata Nexon - prices, engine performance and other features in this exhaustive automobile and bike section. Madrasi.info is your Chennai city guide. From automobiles to education, from latest cars to travel destinations, you will find it all here. Tata Nexon enters the crowded compact SUV segment with what may well turn out to be a worthy contender. Tata Nexon is a feature laden compact SUV. It faces stiff competition against well entrenched competition from Maruti SCross and Ford Ecosport. Nexon is based on the Tiago chassis and shares many common parts including the engines albeit in a different tune. Tata Nexon Features: This is a practical SUV with the style of a Coupe. On the exterior, Nexon has Projector Headlamps, dual tone roof, cat eye shaped Daytime running lights and on the inside, it offers a unique floating dash top touch screen, cooled glove compartment and a stylish central console. It has 31 utility spaces thoughtfully designed to take care of your needs. Nexon Engine: Tata uses the Revotron 1.2 L Turbo charged petrol engine that puts out a peak power of 110 BHP with a torque figure of 170 Nm. In the diesel version, the RevoTorq 1.5 L 1497 CC 3 cylinder unit offers impressive figures of 110 BHP and 260 Nm.The engines are mated to a 6 speed gearbox. We could find excellent noise reduction inside the car when we took a test drive. The doors close with a typical solid thud - often experienced in European cars. From the outside it may look compact, but from the inside, the car has ample space. Tata Nexon Specifications: Tata Nexon has 1198 cc Revotron engine which delivers 110 BHP with a torque figure of 170 Nm. This model comes with Air conditioning as standard fitting. Nexon from Tata has Power steering and Power Windows. It is outfitted with central door locking in tune with its class. Tata Nexon - SUV Car segment is equipped with a 6 speed gearbox. Tata Nexon Price: Tata Nexon in India costs approximately about Rs. 5.85 lakhs (showroom price)for the base version in Chennai( Price may vary depending upon the local taxes and Octroi ) at the time of publishing this page. Please note that the car manufacturer - Tata may increase/decrease the list price at any time. Again you may note that the price mentioned here is for the Petrol variant. On the road price will depend on the GST, Road tax, Insurance and extended warranty fees if any. Nexon Fuel Economy: This car runs 14 km per liter of Petrol in city driving conditions while it runs 21 km per liter of Petrol in highway conditions. In other words, the fuel economy of Nexon is Rs. 5.71 per kilometer. If you drive about 1000 km in a month, you will be spending about Rs. 5710 on your fuel ( at the prevailing fuel price in Chennai). Your actual mileage may vary. The information presented in this page has been collected from the respective web site of the manufacturer amongst other reliable sources. We have summarized the various features of this Tata Nexon in a tabular format below.